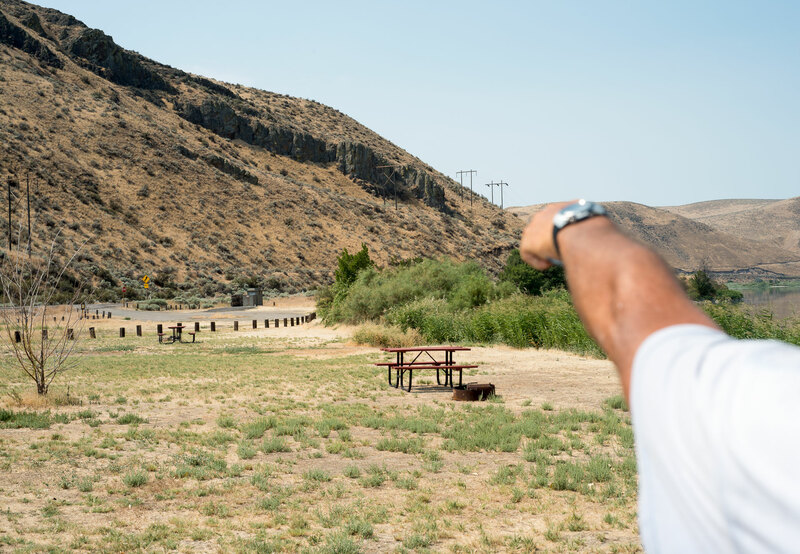 A few miles west of the Oregon-Idaho border, after driving through Boise and what felt like a high altitude wind tunnel on Highway 84, we happened upon a little RV campground called Catfish Junction. On a less dramatic portion of the Snake River, the grounds are nestled in golden hills. There we met the tall, scraggly-bearded groundskeeper, Daren. Wearing a dilapidated black hoody and blown out denim jeans, his demeanor was laid back as one would expect from a cat fisherman and rural RV site overseer. He kindly lent us an old taped-up fishing pole and some fresh night crawlers. Seemingly, Daren doesn’t often meet many young travelers willing to step out of their RV’s, and was happy to chat with us about our adventures with Brownie In Motion. Darren the groundskeeper at Catfish Junction. 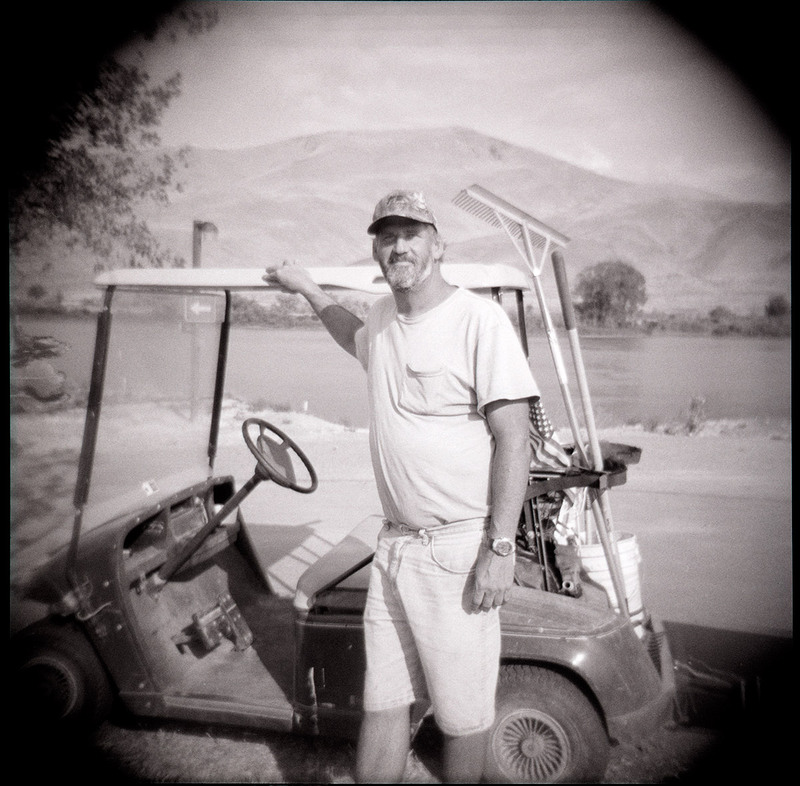 Holga photograph by Stephen Takacs. On the boat dock, we cast out our lines while I played guitar to the rapidly shifting sunset. Ten minutes in, Daren got a bite. Casually working his fishing pole, he effortlessly reeled in a catfish over 2 feet long. “That’s your breakfast,” Daren said as he plopped the fish into a bucket for overnight storage. While removing the hook, he muttered, “Stupid cat,” over and over…. This small, historically rich portion of land is the only place where the sun sets in Idaho from the Oregon perspective. Friday morning, we mingled with Daren while I prepared our catfish and French press coffee breakfast. He regaled us with stories about the Junction: natives raiding travelers on the Oregon Trail, an eccentric who used to farm a small island in the lake, and his own experience working heavy machinery in L.A. As we drove off, I couldn’t help thinking of this adventure as our own little salute to the Oregon Trail.